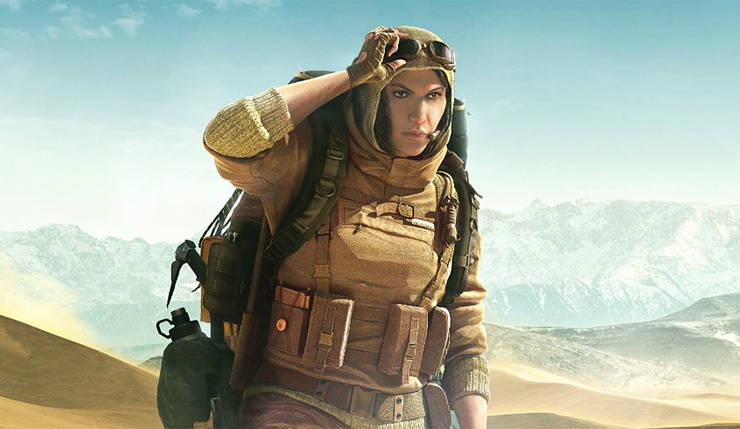 Over the past couple of weeks, Ubisoft has been gradually doling out details on Rainbow Six Siege’s latest season, Operation Wind Bastion, but now they’ve fully pulled the curtain back. 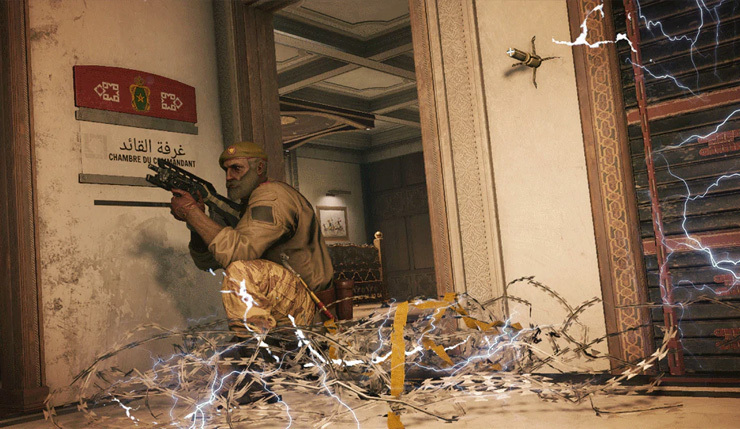 We now have a meaty gameplay video, which showcases Wind Bastion’s new Moroccan Operators and map. Check out Nomad and Kaid doing their thing, below. The Rtila Electroclaw brings a whole new way to electrify reinforced surfaces, barbed wire, and deployable shields. An Electroclaw can be thrown from a distance and grab on tightly, electrifying any reinforced surface in its area of effect. With his three Electroclaws smartly deployed, Kaid can completely secure a fairly large room. Their small size and deployment versatility make Electroclaws difficult to spot and pick off. Even Maverick will have a tough time located them, because their area of effect mean they don’t have to be placed directly on reinforced surfaces. That doesn’t mean they’re invincible — IQ can spot them, Thatcher’s EMP grenades can destroy them, and Twitch’s drone can shoot them. Attached to Nomad’s primary weapons, the Airjab Launcher fires sticky, proximity-triggered air-blast grenades that shove Operators back and throw them to the ground. You can deploy it as a trap to cover your flank or go on the offensive and use it to knock defenders out of cover. Operators who get Airjabbed are unable to shoot while they recover, so it’s very effect for, say, making a dug in Mira take a seat for a few crucial moments. Or knocking a Clash down, forcing her to put her shield on her back while she collects herself. The Airjab charge doesn’t do any damage by itself, but it will knock down you and your teammates if you’re caught in its blast radius, so placement is key. What do you think? Are the new Operators promising? Seems like Nomad might be a bit OP, but the proof will be in the playing. 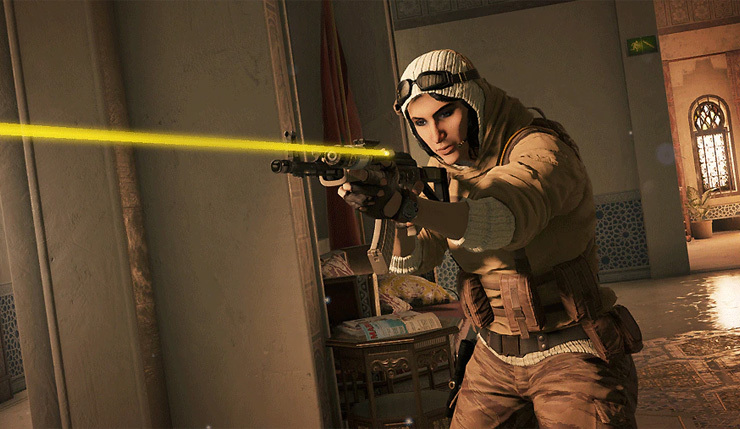 You can catch up on Kaid and Nomad’s backstories, right here. Rainbow Six Siege is available on PC, Xbox One, and PS4. Operation Wind Bastion doesn’t have a release date yet, but it will likely drop sometime in early December.